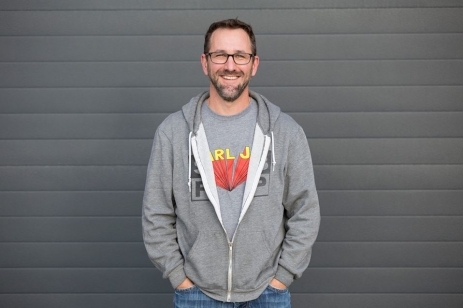 Join Trey Busch, winemaker and partner at Sleight of Hand Cellars in Walla Walla, for a magical evening of great food and amazing wines at Maslow’s Seattle, part of the FareStart family of restaurants and cafes. Enjoy a six-course meal specially paired with Sleight of Hand wines. 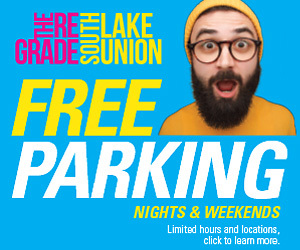 Tickets are $100 plus taxes and service charge. All profits from the evening are reinvested into FareStart’s programs to recruit, train and support students and apprentices. To purchase tickets, please contact Maslow’s at maslows@farestart.org or 206.588.4020. Sleight of Hand supports Fare Start and their mission of providing real solutions to poverty, homelessness and hunger. 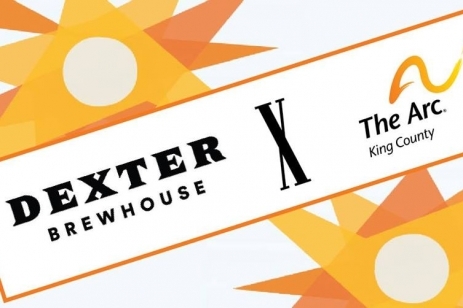 Do you love great food, great beer AND The Arc of King County?! This is the event for you! Join The Arc’s Young Professionals Board from 4-7pm at Dexter Brewhouse for the Return of All Inclusive Ale! Proceeds from food sales and All Inclusive Ale sold during the event directly benefit The Arc of King County. Reservations are highly encouraged. Please call 206.403.1228 and mention The Arc event. Sit back, sip, and savor the wine (and views). 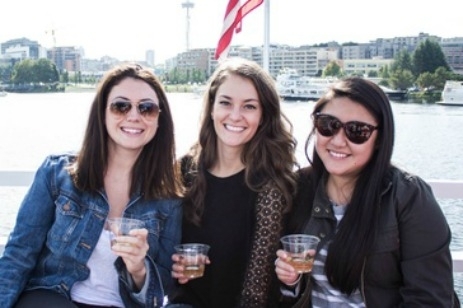 Our professionally trained wine stewards will guide you through tastings of each featured vintage as we enjoy the waters connecting Lake Union and Lake Washington. This 1.5 hr cruise is highlights & sights only, no narration. Adults 21+ and minors are welcome. Kids 3 and under – FREE Please book your reservation here. A group of jellyfish is known as a smack. A common packaging device for yeast distribution is called a smack pack. Coincidence? The crew at Jellyfish Brewing thinks not! Seattle Beer Week wouldn’t be the same without collaborating with all of our favorite brewing smack packs. Thus we bring you our neighbors from Georgetown, Jellyfish Brewing Company. 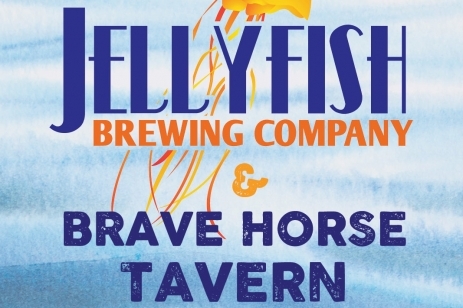 Join us at Brave Horse Tavern for a fun and adventurous beer dinner with a paired menu created to drift like the random travels of a jellyfish. Photographer Deb Achak explores her fascination with water and the ways in which we connect with it in her debut exhibition Culture and Sea. 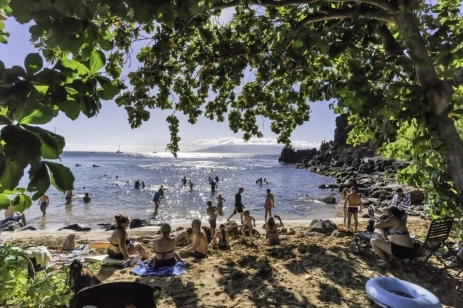 This exhibition examines the texture, color, and poetry of the ocean with her Ebb and Flow photographs, as well as the commonalities across cultures in the way we gather, find joy, relaxation, and contemplation at the beach in her Aquatic Street series. With Ebb and Flow, Achak takes the viewer into the water, at times submerging her camera, others hovering just above the water line. This series allows us to feel the power of the ocean, as well as it’s ability to sooth and heal. Achak’s Aquatic Street photography documents life by the ocean as the silent observer. She moves within the crowds of people, capturing the impact the ocean can have on human behavior in honest and genuine expressions. The photographs in this exhibition were captured in Positano and Capri Italy, Hawaii, and Florida. In the late 1960s a new movement changed the lives of Latin American farm workers who fought for civil rights and battled racism and indecent working conditions. Experience this chapter of American history as one young woman balances the demands of her family and culture and fights to see her people free of poverty. 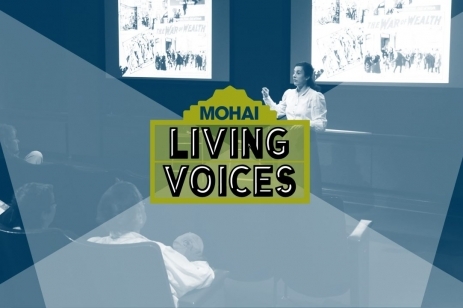 Living Voices combines live theatrical performances with archival film, turning history into a moving personal journey. This performance will take place in the Joshua Green Foundation Theater on MOHAI’s second floor. Suitable for guests 11 years (5th grade) to adult. Seattle on the Spot: The Photographs of Al Smith at MOHAI Nov. 18, 2017- June 17, 2018, is an ambitious exhibition that chronicles the African-American community in the Pacific Northwest. 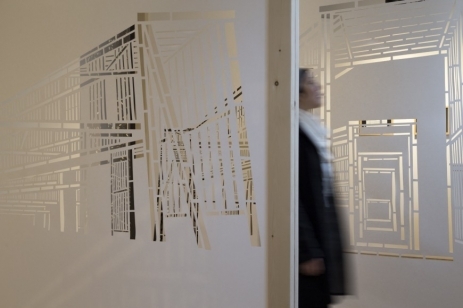 The exhibit also provides an entry point into national discussions about the history and changing character of Seattle and its evolving neighborhoods. Legendary photographer Al Smith was an explorer and his camera was the universal key that opened doors and gave him license to go anywhere. Seattle on the Spot: The Photographs of Al Smith, organized by Seattle’s Museum of History & Industry (MOHAI) and on view Nov 18, 2017 – June 17, 2018, gives visitors a rare peek into Smith’s historically significant collection that chronicles the African-American community during the mid-20th century in the Pacific Northwest. The exhibit also provides an entry point into national discussions about the history and changing character of Seattle and its evolving neighborhoods. Seattle on the Spot: The Photographs of Al Smith is a retrospective of Smith’s work. It honors the collection of more than 40,000 photographs generously donated to MOHAI by the Smith family. For more than half a century, Smith documented the African-American community life in Seattle. During that time, he amassed thousands of prints and negatives (taken between 1940 and 2005), which he stashed in drawers and cabinets and grocery bags in his home. “Al wasn’t just somebody with a camera. He was a photographer. And that was his introduction,” said Jackie Lawson, Historian and founding member of the Black Heritage Society of Washington State. MOHAI’s relationship with Smith goes back to 1986 when Smith volunteered in the MOHAI darkroom. For more than a decade, Smith helped the museum preserve its vintage-photo collection of Seattle history. Structured in a combination of six thematic sections, Seattle on the Spot takes visitors back in time. An introduction/background of Al Smith is the first section and acquaints visitors to a humble, but driven photographer. This section provides an outline and background of Smith’s life. From the introductory area, step into Smith’s Darkroom and explore his workspace—a captivating hands-on area where visitors can look at proof sheets, faux negatives viewable through a loop and a display of the cameras Smith used. The next section is an immersive Nightclub. Here, visitors step into a theatrical nightclub-like atmosphere that breathes life into scenes of Seattle’s jazz scene of the 1940s immortalized by photos Smith took as a young man. This area includes a video, dance floor, music, interactives, games and artifacts on display. Moving from the nightclub, visitors explore a more formal presentation of Smith’s work in the Nightclub Gallery section. 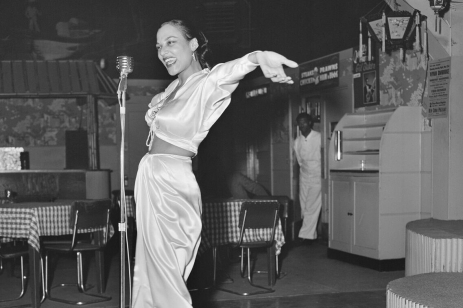 Smith’s best-known work is from Seattle nightclubs in the Jackson Street district during the early 1940s capturing the musicians as well as reveling patrons, to whom he sometimes sold souvenir photographs. This was a heroic period for Seattle jazz—a wartime scene that ultimately spawned such internationally known artists as Ray Charles and Ernestine Anderson. The final section focuses on the Retrospective Space. This section brings the discussion of Smith’s work to the present day and highlights the changes in the communities that Smith documented. Visitors will explore how communities are remembered today and have a chance to reflect and add information to Smith’s photos and stories to the oral history station. Seattle on the Spot will be supported by unique programing including an exciting opportunity for a group of pre-selected high school students in the Central District to hone their photography skills, and develop personal aesthetic and narrative perspective. Students will curate their work for display in Seattle on the Spot from April – June 2018. Pieces will be on display in the exhibit and posted to MOHAI’s website. MOHAI has gathered the city’s most influential leaders including former Seattle Mayor Norm Rice, Carol Peoples-Proctor, Jazmyn Scott and Al “Butch” Smith Jr. to advise and collaborate on program development for this unique and ambitious exhibition. Seattle on the Spot: The Photographs of Al Smith is accompanied by an illustrated catalog with contributions by Jacqueline E. A. Lawson, Howard Giske, Al “Butch” Smith Jr., Paul de Barros and Quin’Nita Cobbins. 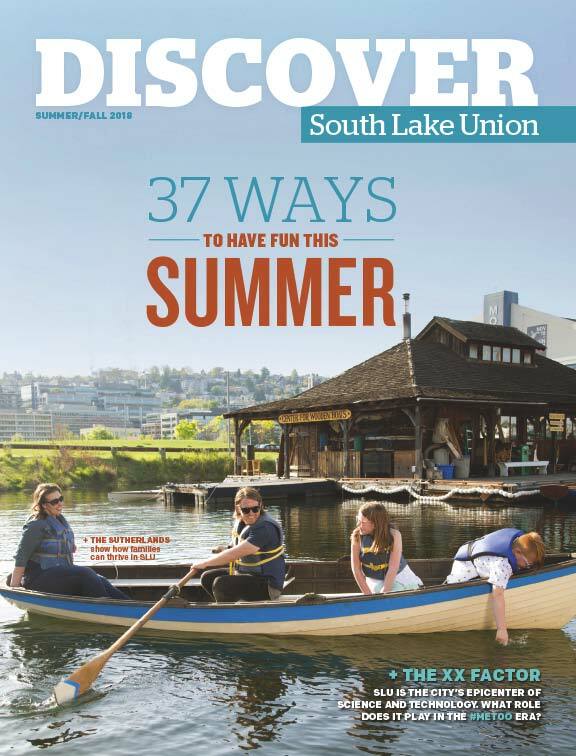 The catalog is co-published by the Museum of History & Industry and the University of Washington Press. Generous support for Seattle on the Spot: The Photographs of Al Smith is provided by National Endowment for the Arts, The Boeing Company, Laird Norton Wealth Management, MOHAI Exhibits Fund, Mike Repass, 4Culture, Hugh and Jane Ferguson Foundation, ArtsFund, and Gordon & Celia Bowker.